Writing this, I am literally sitting in the clouds. I am on the 113th floor of the Ritz Carlton Hong Kong hotel and the view outside my window is currently obscured by a thick, white fluffy cloud. I guess you could say I’m floating on cloud nine – sitting in my room, wrapped in a terry cloth robe, dreaming of the dim sum I will be enjoying in two hours time. It’s my first time in Hong Kong, a city that has always been far removed from my imagination as it seemed I would never make it here. In many ways, Hong Kong reminds me of my home, New York City, it has the same unending energy, the same fast moving crowds, the same gravity-defying skyscrapers. Hong Kong even has its own Times Square and Grand Central! Yet, Hong Kong could not be more different with its exotic cuisine and market lined streets, its tai chi in the park, its roasted ducks swinging from the storefronts. I’m on day three of my four days spent roaming Hong Kong. Admittedely, while I’ve seen most of the things you’re “supposed” to see when visiting Hong Kong as a tourist, it’s the quirky restaurants and under-the-radar attractions I always gravitate towards. If short on time in Hong Kong and looking for something a little more offbeat, consider this your guide. Hong Kong is home to many markets – such as the famed Temple Street Market and the Ladies Market – but I had heard of the Goldfish Market and wanted to check it out. 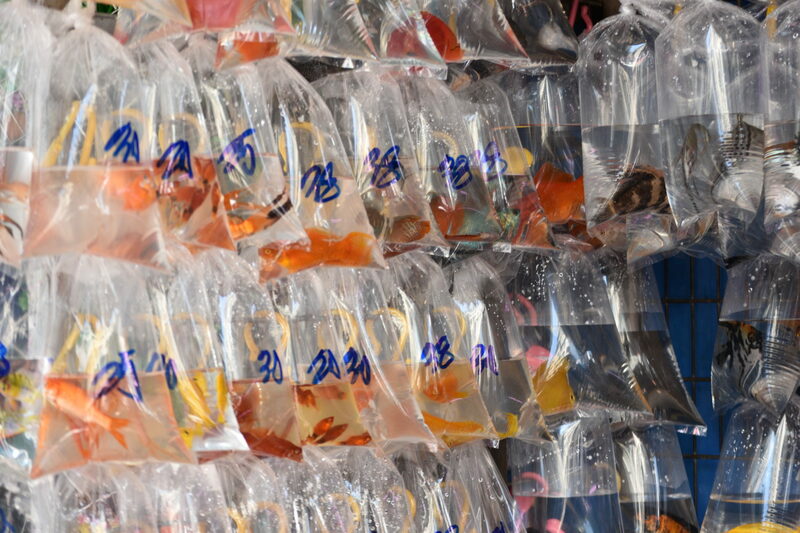 The Goldfish Market on Tung Choi Street is what it sounds like, a market that sells all sorts of fish. Having been to markets around the world, I wanted to visit one that was non-traditional and what a sight this market is! Open storefronts line the small street with rows of plastic bags holding all sorts of colorful fish. In plastic buckets, little turtles splash around, while in larger tanks bigger fish swim. The street acts like a pet shop block party and even includes shops with adorable kittens rolling around in the window for sale. 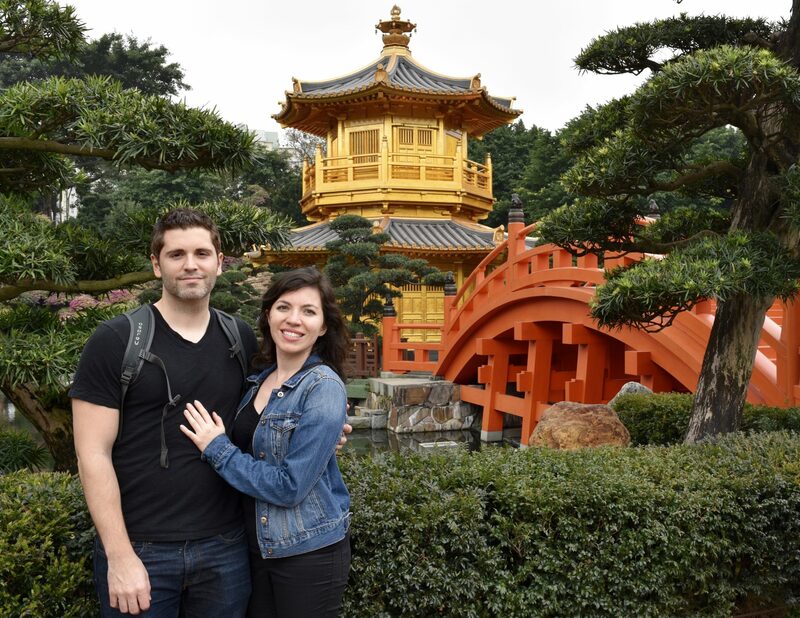 I am traveling in Hong Kong with my boyfriend, Jeff, who has always wanted to see a monkey in the wild. 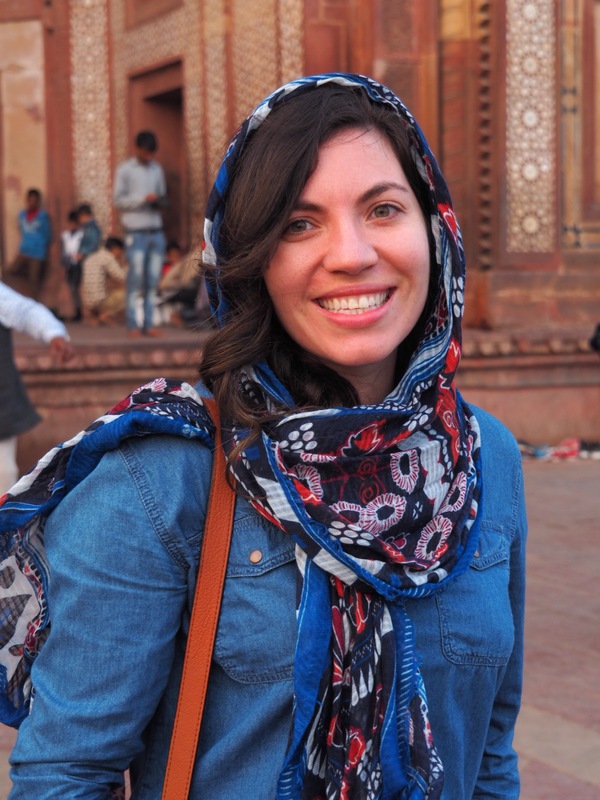 In my past few assignments abroad and previous press trips, I’ve seen orangutans in Borneo, monkeys in the Dominican Republic and in Bali – but unfortunately, Jeff was not with me at the time. So, when getting ready to come to Hong Kong, I wanted to see if I could find a place that Jeff could see these playful animals in the wild. Enter Kam Shan Country Park – a verdant space just outside the city where hiking trails wrap around large, deep blue reservoirs. 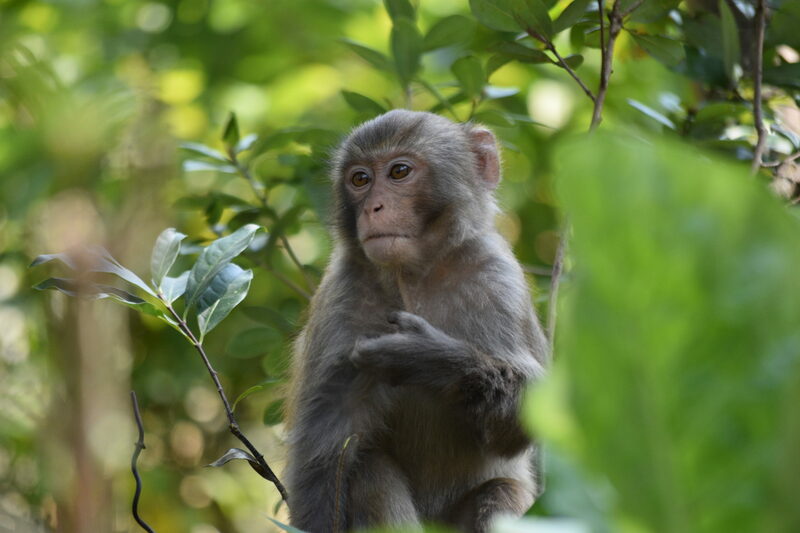 Kam Shan (also known as Monkey Mountain) is where you can find tall trees and free-roaming monkeys – a nice respite from the busy, smog covered city just a drive away. Okay, I’ll admit it, I am a cat lady. I love dogs and grew up with them, but ever since Jeff and I got Peeps, our fat New York tabby, we are in love with our little furry, feline baby. 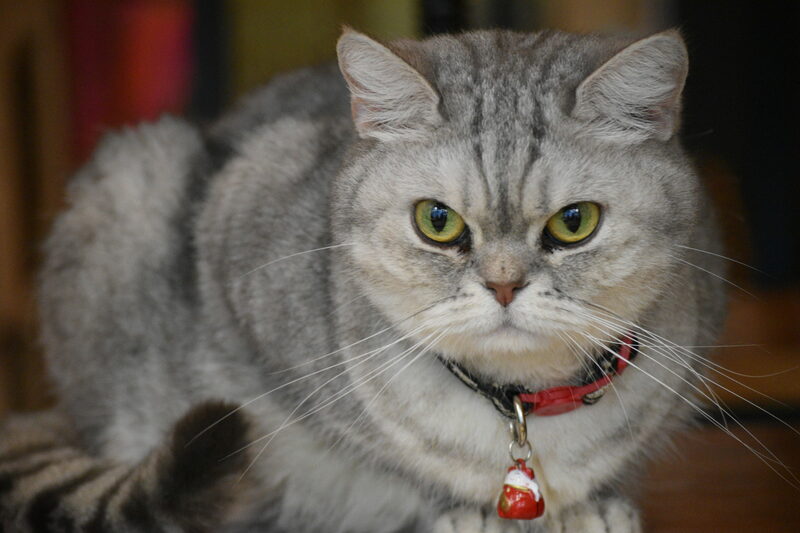 When Jeff and I travel, we tend to gravitate towards animals and so, it goes without saying, we visited Hong Kong’s cat cafe on our very first day in the city. Ah Meow Cat Cafe is by Times Square, off the Causeway MTR stop. The cafe is rather hidden in a building, but once inside you’re greeted by friendly, fat cats and some delicious tea and treats. I recommend ordering the Ginger tea and treating the cats to some cat food so they’ll join you for tea! 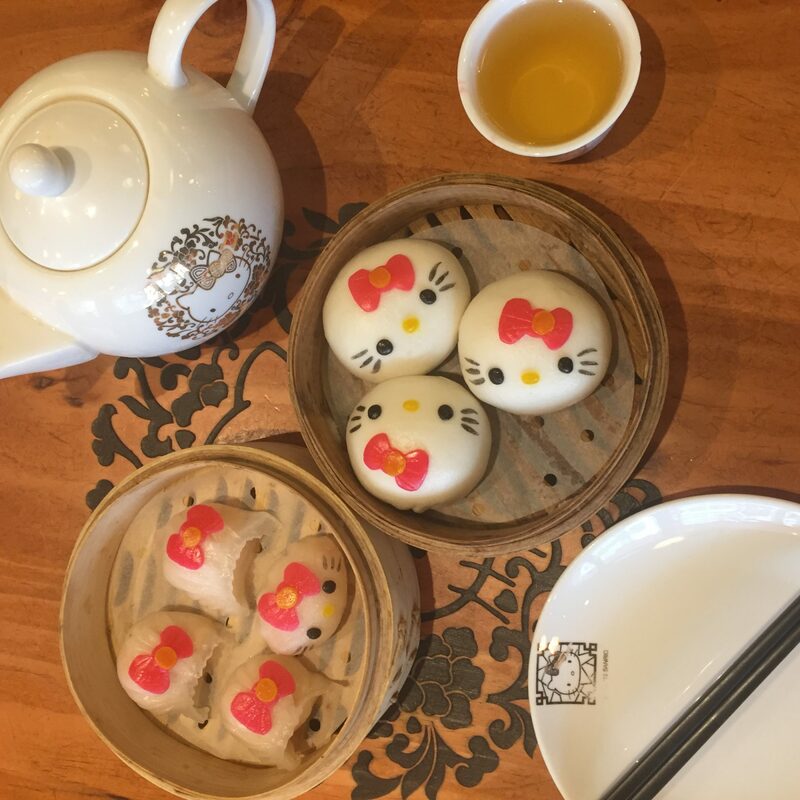 I learned about the Hello Kitty Restaurant in Hong Kong via another travel blogger, Brooke Saward of World of Wanderlust. From her videos and photos, I just knew I wanted to visit this eatery and order myself adorable, Hello Kitty-esq dumplings as well. The Hello Kitty restaurant is a young girl’s dream – an explosion of cute Hello Kitty themed dishes, decor, and desserts. Now, let me manage expectations here – while the photos are awesome and the restaurant is an Instagrammer’s dream, the food (in my opinion) was a little lackluster. I ordered the shrimp dumplings, which were yummy, and then (for the sake of a good photo) ordered the custard dumplings. Nevertheless, it’s worth going to the restaurant for the photos and experience alone! 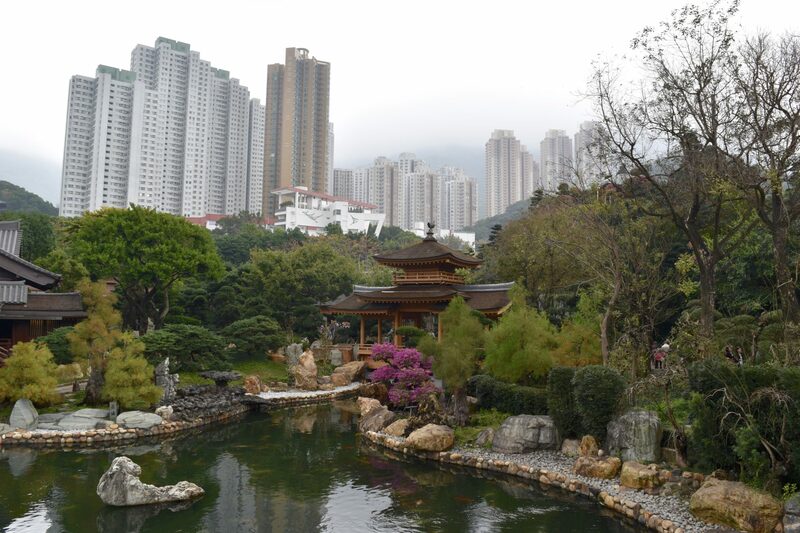 Off the Diamond Hill MTR stop is the Nan Lian Garden and the nearby Chi Lin Nunnery. The nunnery is designed as a large Buddhist temple and was originally built in 1934 as a retreat for Buddhist nuns. The Nan Lian Garden is a classic Chinese Garden with lotus ponds, rock gardens, bonsai trees and Tang-Dynasty style architecture. 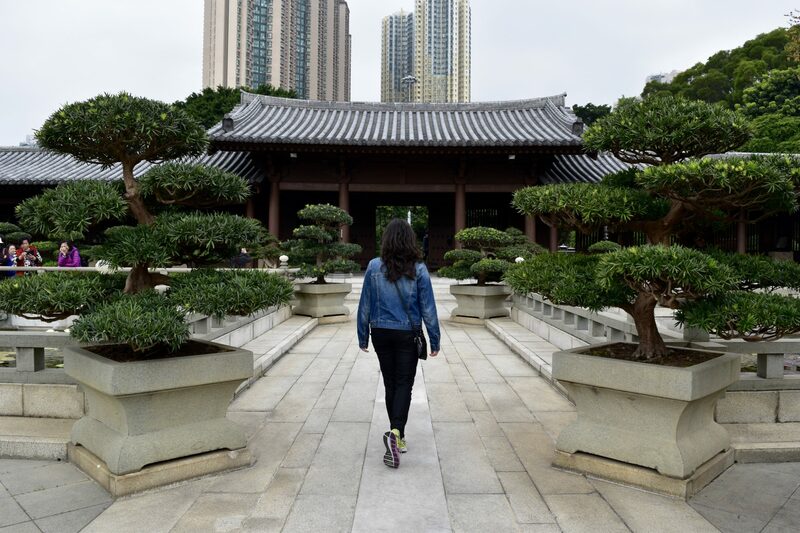 I loved visiting the Nan Lian Garden and Chi Lin Nunnery because it is the perfect juxtaposition of Hong Kong’s modern city with its decades-old traditions. As I get ready to continue my adventure to Thailand, I am left to reflect on my short but lovely time here in Hong Kong. The city is endlessly exciting and – if I had more time to explore – I’m sure I could spend weeks slowly peeling back the layers of this dynamic urban jungle. Have you been to Hong Kong? What are some offbeat places you loved? Share in the comments below!